This week I attended a parliamentary reception hosted in honour of air ambulance services up and down the UK. 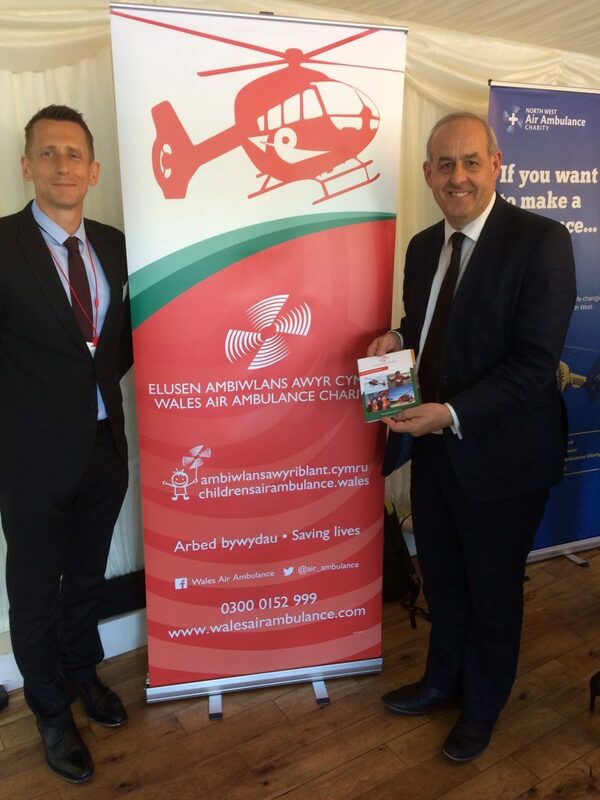 The Wales Air Ambulance charity was also in attendance and I was able to thank them for their dedication and pledge his continued support. Wales Air Ambulance covers the whole of Wales every single day. Each year their helicopters attend around 2,500 missions, covering rural countryside, bustling towns and cities, along the Welsh coastline and across vast mountain ranges. They have four airbase operations in Caernafon, Llanelli, Welshpool and Cardiff. Wales Air Ambulance can be there for anyone in Wales within 20 minutes. But they don’t just fly patients to hospital they take specialist medics to the patient so A&E is brought to the scene. Their critical care consultants and practitioners have some of the most pioneering equipment and skills in the world, including blood products and techniques developed in the British Army, meaning patients receive advanced care before they even reach hospital. They have four helicopters in total with each mission costing £1,500. Every year the Wales Air Ambulance needs £6.5 million to keep the helicopters flying each year. It is important to note that they are a charity and receive only some of their funding through the Government. It was good to meet with reps of air ambulance in Parliament and I was able to take this opportunity to thank them for their tireless efforts in keeping us safe and saving so many lives. They told me stories of how they have been able to save the lives of many with urgent health problems or victims of accidents, who now wouldn’t be with us today if it wasn’t for the Air Ambulance. Their ability to get to anyone in Wales within 20 minutes truly saves lives. As they are a charity they rely upon donations to maintain their helicopters and service. Because of this I would urge people to, if they can, donate to the Wales Air Ambulance to ensure that we can keep this fantastic service. These dedicated and talented individuals are what makes healthcare in the UK the best in the world. Will: Help Wales’ next generation by leaving a gift in your will. People interested in doing this should contact the telephone number above.